TABLE LAYOUTS BEING CHANGED AT THE MOMENT!! 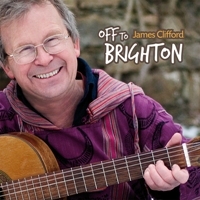 James has made 2 CDs, the latest being “Off to Brighton”, a wonderful compilation of his own songs, extracts of which you can listen to lower down this page. The CD contains a booklet with songtexts. 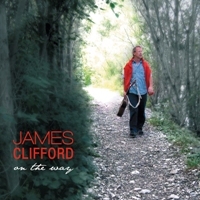 Clifford’s first CD, “On the way” is a collection of cover songs he has enjoyed singing over the years plus 2 of his own compositions – see the songlist below. Both CDs were produced by Werner Edlauer at Buzo Records in Austria. Please note, CDs are offered on a “pay-what-you-like” basis, with a minimum charge of €5 to cover the basics. In the basket, please don’t forget to fill in the shipping options to “Europe” or “Rest of the World”, depending on the address to be shipped to.